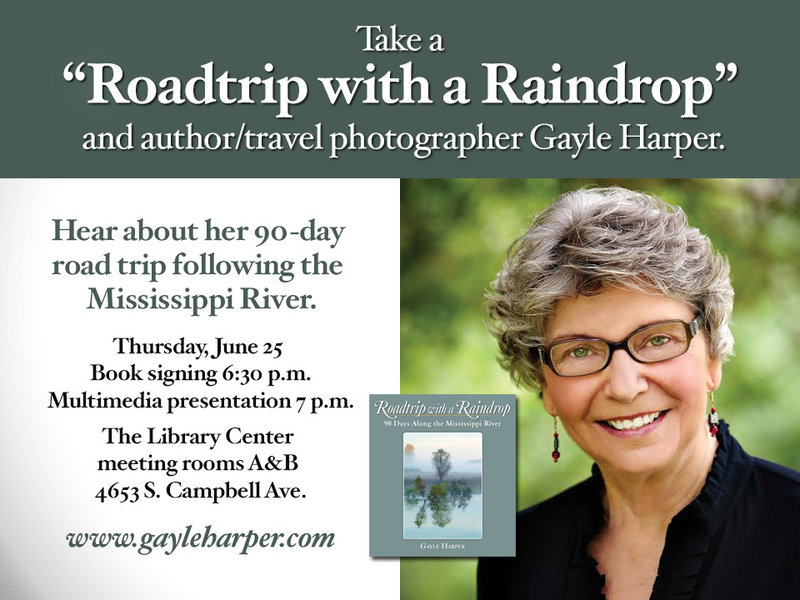 THE ONLY HOMETOWN EVENT SCHEDULED THIS YEAR for “Roadtrip with a Raindrop” – Hope you can make it! If you live anywhere near Springfield, MO, this is especially for you. Next Thursday, June 25th at 6:30 p.m. at the Library Center, will be the only hometown event scheduled for this year. (I’ll be on Book Tour on the road most of the rest of the year!) I would love to see YOU there! 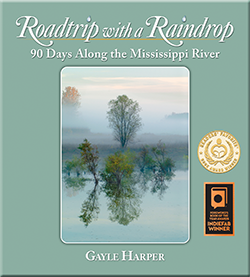 I’ll share the backstory of how “Roadtrip with a Raindrop: 90 Days Along the Mississippi River” came to be, share the Multimedia Presentation that takes you on the journey – and I’ll be signing books. And, YES, if you have a book you would like signed, you are very welcome to bring it! A flyer with all the details is printed below! If you can help to spread the word by sharing this post, printing the flyer or linking to the Facebook page www.facebook.com/GayleHarper.MississippiRiver that would be fabulous! P.S. – As you may have heard, “Roadtrip…” is a FINALIST for “Book of the Year” in Foreword Review’s annual competition! The winners will be announced in just a few weeks now at the American Library Association’s annual conference in San Francisco. https://indiefab.forewordreviews.com/books/roadtrip-with-a-raindrop/ Cross your fingers! Wish I could be at the library and envy those of you who can be. Can’t wait for the competition results. Really think you should win.